Balon Greyjoy’s prodigal son Theon is one character who has managed to earn the audience’s loathing, pity, and eventual support with his roller-coaster arc . Balon Greyjoy’s prodigal son Theon is one character who has managed to earn the audience’s loathing, pity, and eventual support with his roller-coaster arc through the seasons. 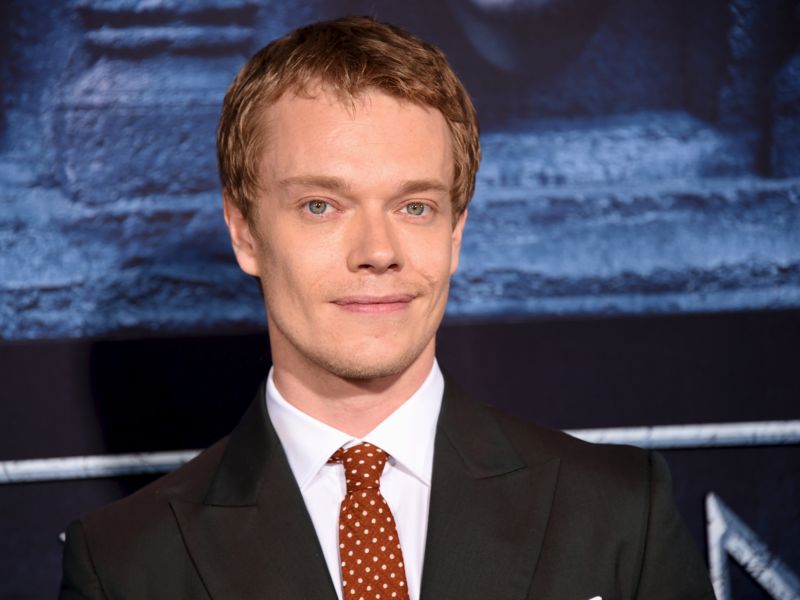 Actor Alfie Allen has impressed us with his act as the weak-willed, indecisive scion of the Iron Islands (until now, at least). Hailing from a family rooted in showbiz (his sister is singer Lily Allen, and father is actor Keith Allen), Alfie is a talented actor, and a very chilled-out person IRL. Brekkie... Green hot sauce is ???????????? @phoebeflynnoliver thanks for the birthday cake!!! ???????????????????????????????????????????????????????????????????????????????????????? Regram @arizonamimi . . .
4. Long before Yara became buddies with him, he and Gemma Whelan were having a crazy time! 5. Ramsay Boltons, Theon Greyjoy and Jaqen H’ghar, when they aren't trying to murder each other! 6. He is your ultimate travel buddy! Bye Sydney! @pullenh @waintats you were great! 7. And has wonderful taste for the finer things in life! Keep chillin’, Alfie. Happy 30th!